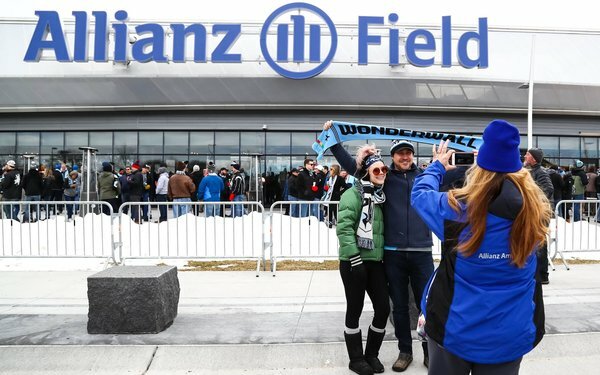 Minnesota United gave fans at Saturday's opening of Allianz Field everything they wanted -- except three points. The Loons had to settle for a 3-3 tie with New York City FC after a first half that produced five goals in 19 minutes. The first match at the new St. Paul stadium was far too open for Minnesota United coach Adrian Heath's liking. "But, hey," he said, "I’m sure for the neutral, it was an entertaining game. Not too good for the both coaches I wouldn’t have thought. The game was too open for my liking. We gave away three poor goals. They didn’t have to work hard enough for the goals. So, for us to come out of the game with something, I’m pleased for that." The Loons played their first five games on the road, so 10 points in six games is quite an accomplishment for a team that won just four away games in its first two MLS seasons. Their first four games in 2019 were against teams that didn't make the 2018 playoffs, but the fifth game was a 2-1 win at the New York Red Bulls, the 2018 Supporters' Shield winners. "Last week going to the Red Bulls, if we would have said we’d get four points over the next two games," Heath added after Saturday tie, "we would have probably it. But obviously today, we wanted it to be a special day for everybody." Heath said the emotion of the moment contributed to some of the Loons' problems, but he also praised their energy. "I thought Romain Metanire was incredible," he said. "I don’t know what his physical stats will be, but my God, he kept going. And then Ethan Finlay down that side, were really, really good in the first half. And I don’t think we utilized that enough." After the match, Heath admitted that he was happy to get the opener out of the way while believing better times lie again. "It’s been a great day," he said, "and [I'm] pretty much relieved it’s out of the way now and we can concentrate on just doing what we do, which is playing football and not doing an interview every 20 minutes about the stadium. I’m glad that it’s all over. I’m glad that we didn’t lose. I thought our supporters were magnificent. I thought the noise in the stadium was incredible."